Design a new Web site according to your needs. If you don't currently have a Web site, it's a great way to improve the image and exposure of your business, attract new clients, and generate more revenue for your company. There are several different types of business Web sites. You can have just a Web presence with an online brochure, you can provide regularly updated content for users, or you can sell a product or service and collect payments online via a credit card. Enhance an existing Web site. Refreshing an existing Web site with a new look and added functionality can greatly increase the ability of your site to attract and keep new users. Add new pictures, change how the users navigate through your site, add user forms to be filled-out to provide you with valuable client leads, add regularly updated content that keeps your users coming back for more. Other possibilities include selling products or services online, discussion forums where your users can login and discuss various topics between themselves, calendar/scheduling programs, and much more. A domain name is how people find your Web site. Names such as 'apple.com' or 'EnergizeSoftware.com' are domain names. You want to choose a domain name that reflects the purpose or business of your Web site, and it must not already be in use. We can go through the process of registering the name of your choice on your behalf as part of our services. Create user forms that hold persistent data. Most Web sites have various forms that collect information from a user, such as contact information or for ordering a product or service. Many sites do not validate forms properly, allowing bad or malformed information to be sent in the form. We make sure the form fields are validated, and additionally maintain all the information on the form when an error occurs, thus saving the user from reentering all their data from scratch. This is persistance of data. Custom programming & interactive applications. With modern Web design, portions of your site can be interactive without refreshing the entire page, giving your users the feeling that they are running a regular program on their computer, and not using the internet. An example of such an application, is an interactive calendar of events. A user can click on a day on the calendar, and further information about the events of that day are retrieved from a database and instantly displayed, without having to refresh the page. A database holds information such as user account information, a list of product specifications that you are selling, dates and times of special events, etc. By incorporating a database into your Web site, your users will be able to retrieve large amounts of information based on specific criteria. On a site such as eBay or Amazon, this information would be the details of the products being sold. On an automotive Web site, this could be a user's login profile, such as the make and model of all the cars they own. Enhance pictures on your Web site. There will be various pictures that you have that represent different aspects of your business that you will want displayed on your site. With our services, we can change the size of the image, colors, and even add or remove various visual elements from a picture so that it more accurately represents what is desired on your site. As an example - have an image of a person but don't like the background? We can change the background while maintaining the person's image. Incorporate a user discussion forum. By adding an interactive discussion forum, your users can discuss various topics by posting and reading online messages from other users. It is a great way for people to exchange ideas, inquire about your services, and learn more. On a periodic basis it is wise to verify that the site is functioning properly, to gather statistics about the visitors to your site and the Web pages they select, make small adjustments, and backup your site. Increase the exposure of your business. An attractive and easy to use Web site will spread the word of yor business product or service to a large community of users around the world. You will be represented 24 hours a day, 7 days a week for everyone to see. This can result directly in increased revenue for your business. For some Web sites, having the users be able to share photos on a particular topic can be a great way to drive traffic to your site. As an example, an automotive Web site can have an online photo gallery of all its user's cars so that everyone on the site can not only see the cars, but also discuss them. Develop private user login areas. Perhaps you need to share documents with a select group of people. You can restrict certain parts of your site to only users who require such access. By accessing a login page with a username and password, people would gain access to private areas of your site. 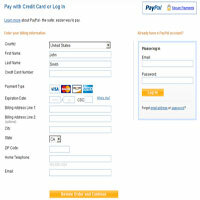 E-commerce, shopping carts, credit cards. By incorporating the ability to accept credit card payments online, not only do you make it more convenient for your users to pay for your service or product, but you will also increase your sales as a result. Having an attractive and easy-to-use Web site is only part of the equation to reach your customers. It is critical that Google and other search engines are able to find and direct visitors to your site. Search Engine Optimization utilizes various techniques to make sure that when people are searching on Google (and other search engines) for the products or services that you offer, that people are directed to visit your Web site. Add Google Maps to your site. If you have information on your site related to various physical locations, adding Google maps can not only provide your users with maps of those locations, but can also provide driving directions as well. Move an existing Web site to a new host. Unhappy with your current Web hosting provider? Paying too much money to host your Web site? We can take your existing site and move it to a new hosting provider. All files, data, and settings can be preserved. We offer high quality Web Hosting services. Receive text messages on your cell phone. Want to be notified immediately when a user on your Web site requests information, fills out a form, or goes to a particular page? We can set up your Web site so that notifications containing various pieces of information are sent directly to your cell phone as a text message. This provides a front-end custom visual interface to allow you to update the content on your Web site on your own easily and efficiently. Custom Photography for your Web site. We can take professional quality digital photographs of various locations or items related to your business and put them on your Web site. We will discuss with you your various Web site options and present alternatives if desired. There is no cost involved regarding your initial consultation for your Web site. There are many other services we can provide so that you can have a great Web site for the world to see. XHTML - eXtensible HyperText Markup Language - is used to define the structure of your Web site. CSS - Cascading Style Sheets - is used to adjust the presentation (visual elements) of your Web site. XHTML and CSS both have coding standards created by the World Wide Web Consortium. Not every Web site follows these standards, and it often results in pages that do not display properly, or have other maintenance issues. Energize Software follows these standards whenever possible to produce a more robust Web site. PHP is a programming language that is utilized on your Web host, as opposed to within the browser. It allows for complex programming tasks that take your site beyond being static text and images. MySQL is a particular type of database system. It allows the storage and retrieval of large amount of information. It is a repository of information such as products, services, user account information, and much more. The advantage of a database system is the ability to very selectively retrieve information. An example would be when you request Google to search for particular words and then Google retrieves the Web page based on your specific query. Ajax for creating interactive web applications. Ajax is a technology that facilitates the ability for a Web page to retrieve information from the server and display it without having to completely reload and refresh the entire contents of the page. It makes a Web page feel much more like an interactive application running on your computer without the internet. One example of where this technology can be put to good use is an interactive calendar, where a user clicks on a day of the week and events for that day are immediately displayed on the page, without refreshing or flickering the rest of the content on the page. Contact us to develop your Website.